The Liquid Compressor II pumps up your sound and keeps your dynamics in check. 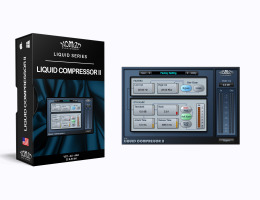 The Liquid Compressor II can add depth and sustain to your sound while helping you cut through a mix. Easy-to-use modern interface with gain reduction light-meter. It is offered in Mono and Stereo.